SEOUL (Bloomberg) -- Hyundai Motor Co.’s union workers in South Korea agreed to end strikes that may have cost the company more than 900 billion won ($847 million) in lost output after they accepted the carmaker’s proposal to increase wages. A tentative Sept. 29 accord between labor representatives and Hyundai that included raising monthly base salaries by 98,000 won ($92) was backed by the company’s 47,000 guild members, according to union spokesman Hwang Ki Tae. The agreement brings relief to the company as it helps end strikes that are estimated to have cost the company more than 40,000 vehicles in lost production, according to some analysts. The market value of South Korea’s largest carmaker recently declined by 6.8 trillion won over seven sessions after Hyundai and two affiliate companies purchased land in Seoul at triple the property’s assessed value. In addition to the base salary increase, the wage agreement includes a one-time payout of 8.9 million won and bonuses worth 450 percent of a worker’s monthly salary, according to a statement on the union’s website. This is equivalent to an average of 27.2 million won extra per person on an annual basis, according to the statement. Bonuses had been at the center of this year’s annual wage negotiations after the country’s Supreme Court ruled in December that periodic bonuses and other compensation must be included in workers’ base pay. Hyundai and its affiliate Kia Motors Corp. have been sued in court by their unions over the issue, with verdicts still pending. 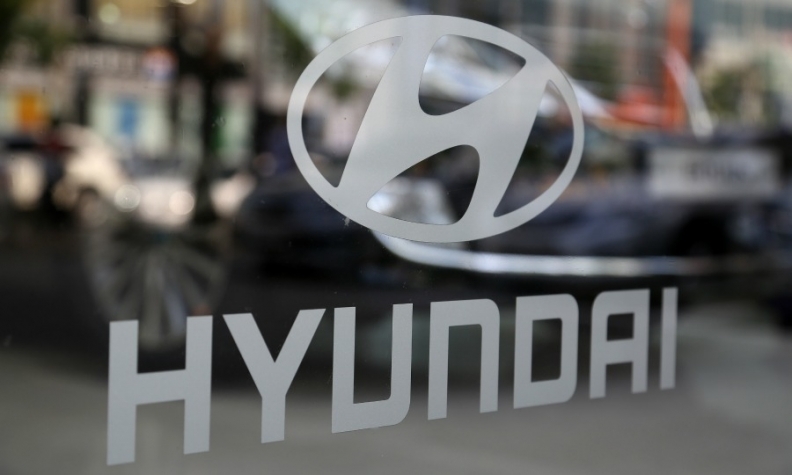 Hyundai and its workers agreed to discuss the issue separately and form a committee to work on improving the company’s wage system, according to the company’s e-mailed statement last month. The end of strikes comes after the group comprising Hyundai, Kia and affiliate Hyundai Mobis Co. last month paid 10.6 trillion won (about $10 billion) for real estate in Seoul’s Gangnam district. The unions at Hyundai and Kia said the purchase was proof of “problems with Chairman Chung Mong Koo’s imperial management,” and called for cancellation of the deal. The company probably lost about 40,000 vehicles of output, equivalent to more than 900 billion won, from the partial strikes that began Aug. 22, according to the average of five analysts’ estimates in a Bloomberg News survey. Hyundai estimates labor disputes led to missed production of more than 1.3 million vehicles and lost sales worth 16 trillion won before this year. Workers went on strike in all but four years since the union’s 1987 formation. Hyundai has tried to reduce the impact of strikes in South Korea by expanding production in the U.S., China, India and Turkey during the last decade. The carmaker is considering a new plant in Chongqing, China, according to the company. South Korean plants accounted for 38 percent of Hyundai’s production capacity in 2013, down from 93 percent in 2000. Hyundai sales rose 3.6 percent to 3.6 million vehicles in the first nine months from a year earlier, according to a regulatory filing.